I’m a huge fan of long exposures. There’s just something about the streaky blur of clouds or the silky smoothness of water that speaks to me. It is a way to capture an image that spans time that the eye cannot see by itself. 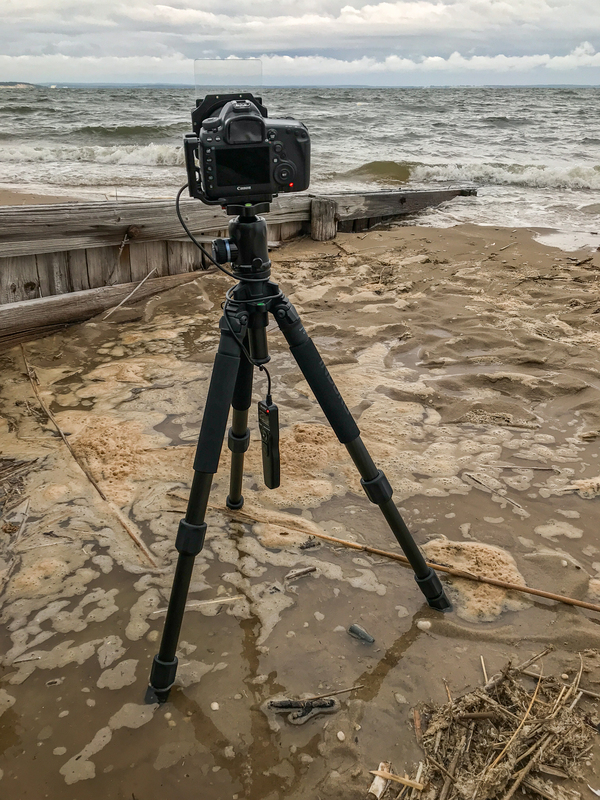 One stormy afternoon on Eastern Long Island, I was shooting some time lapse footage by my favorite jetty. 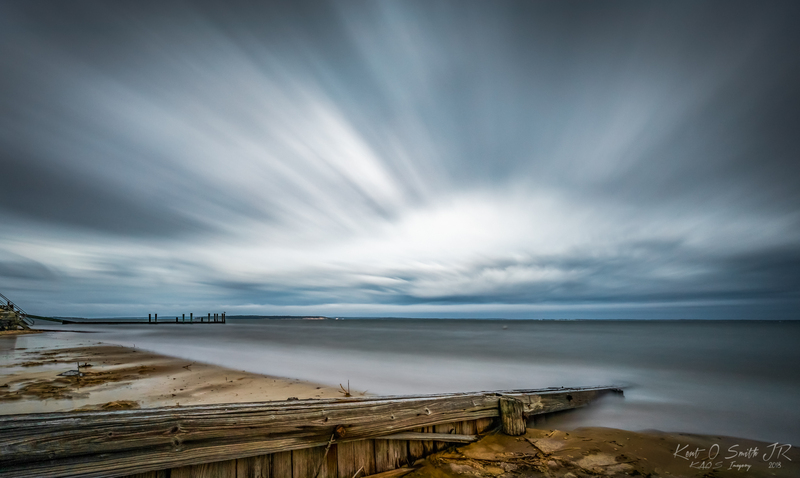 Time lapse is another great way to see what a span of time looks like that your cannot see on it’s own. Why not shoot a long exposure too, since it’s all about recording the motion of something. The wind was coming straight in from the south east. The tide was also coming in, quickly. 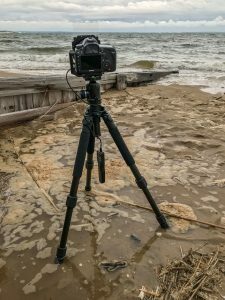 I had the camera set up on the tripod on the beach, the water was washing in around the legs. I used a polarizer to cut any glare or reflections off the water. In order to get a really slow shutter speed, I also used a Lee Big Stopper (10 stops) and a two stop graduated neutral density filter, although I didn’t utilize the clear part of the filter, just the dark part for a total of 12 stops. This allowed the shutter to go open for 165 seconds. A wired intervalometer controlled the time while the camera was in bulb mode. I used a wide angle zoom at 16mm at f/16 and iso 400. The moody feel of this image conveys what I felt standing there on a gloomy day. Interestingly enough, the image made it onto Flickr Explore, a nice bonus, though it’s not really understood *how* images make it on Flickr Explore. So that’s how I got that shot.